When it comes to vibration training and mentoring, we are able to explain vibration measurement and analysis techniques in a way that is easily understood and remembered. We provide classroom training and on-the-job mentoring ranging from basic vibration to modal analysis and operational deflection shape studies. 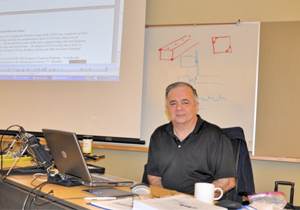 Tony DeMatteo is a Category IV vibration analyst and certified instructor for Mobius Institute’s vibration training and certification courses which meet the ISO 18436.2 standard (Category I, II, and III) and ASNT TC-11 standard (Level 1 and 2). Call for more information on public, on-site and custom training classes. 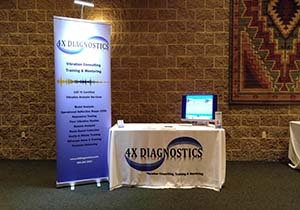 Click here for a printable version of our products, services and training offerings. This 4.5 day course teaches students how to do ODS and Modal Analysis testing. After completing the course you will be familiar with making ODS and Modal measurements, using ME'scope software. Improve your ability to draw advanced structures in ME'scope software. Emphasis on ME'scope structure drawing techniques, tips and tools. Working with examples from real job case histories. 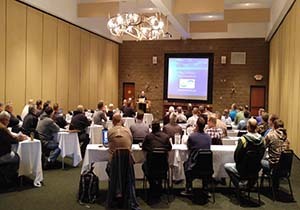 This course is ideal for the pesron who is just getting started in vibration data collection and analysis. 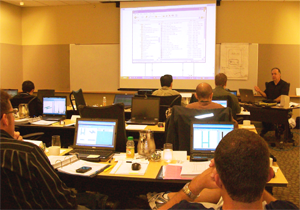 The course focuses on periodic, single channel data collection and analysis. This course is ideal for the person who has a minimum of 6-12 months of vibration data collection and analysis experience with a good understanding of the fundamentals of vibration analysis. This course is ideal for the person who has minimum of 2-3 years of vibration analysis experience. Experience with the spectrum demodulation / PeakVue / enveloping analysis required. Fundamentals of Vibration (Vibration Awareness Training) is the perfect course for management, operations and maintenance personnel to increase awareness of vibration analysis. This two-day course teaches students measurement and analysis techniques that are useful for solving difficult machine vibration problems. Lecture and demonstration. This two-day course teaches students about measuring and analyzing time waveform data for predictive vibration programs and for solving difficult machine vibration problems.